The island nation of Cape Verde only really appeared on our holiday radars in the past decade. Further south than the Canaries, these islands offer a whole variety of landscapes, from otherworldly lunar scenes to lush valleys and endless white-sand beaches. All accompanied by genuine year-round warmth. 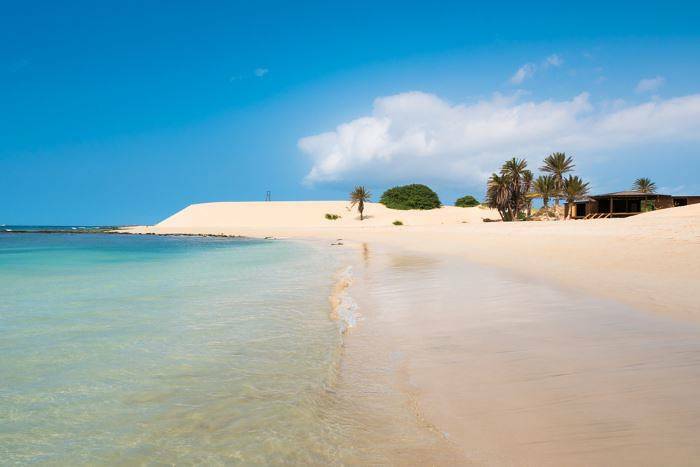 The vast majority of tourists head for the two sandier islands; Sal and Boa Vista. So we’re taking a look at what’s on offer on both, and taking a quick look at what lies in store on the islands further afield. 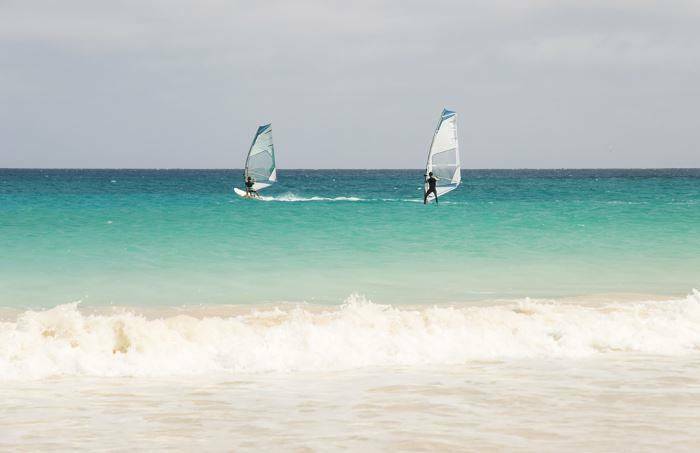 The reason that Sal and Boa Vista attract the vast majority of the international visitors to Cape Verde owes to their climate. Dry almost all year round, these desert islands are blessed with the sorts of sandy shores that rival the Caribbean. If you’re heading to Sal, you’ll definitely be spending some time on Praia de Santa Maria – mile upon mile of white sand. On Boa Vista, Praia do Estoril is a beautiful sheltered bay just south of Sal Rei, and that leads onto longer Praia Carlota, where the luxurious Riu Karamboa resort is located. The Cape Verde islands sit in the path of the north-east tradewinds, and they’re especially strong during the winter months. Which, naturally enough, makes the islands especially popular winter windsurfing destinations. The biggest centres are on Sal, the island even has a dedicated kitesurfing bay and has been home to prestigious international competitions. You’ll also find well equipped centres on Boa Vista. With few roads and a desert terrain of rocky plains and large sand dunes, 4×4 is frequently the only way to get about Sal and Boa Vista. 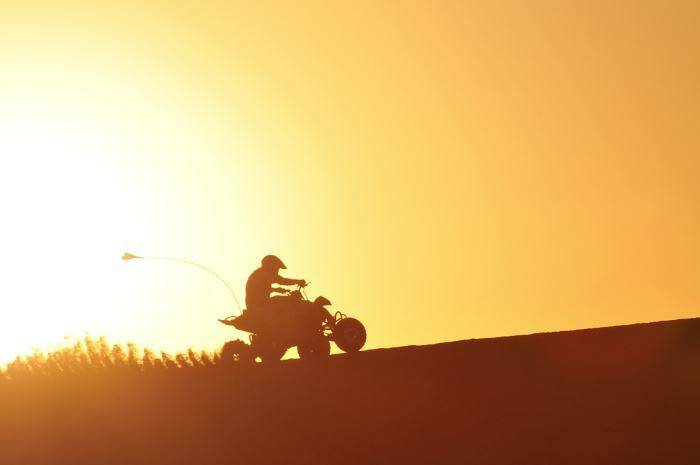 But to up the adrenaline on your tour a little you could opt for a quad bike adventure. 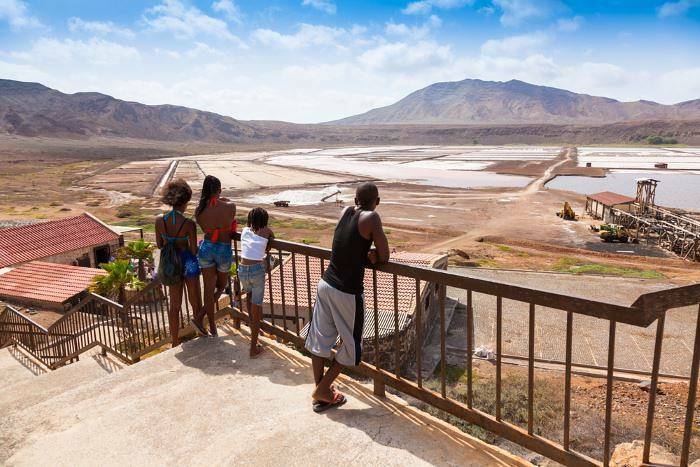 You’ll be guided across the landscape with highlights on Sal including the Oasis of Algodoeiro and driving across the volcano crater at Salina in Pedra Lume. Whilst on Boa Vista you can typically choose between conquering the dunes at Chaves beach, or crossing rocky roads to the Cabo Santa Maria shipwreck and dried riverbeds to the Fonte Vicente oasis. 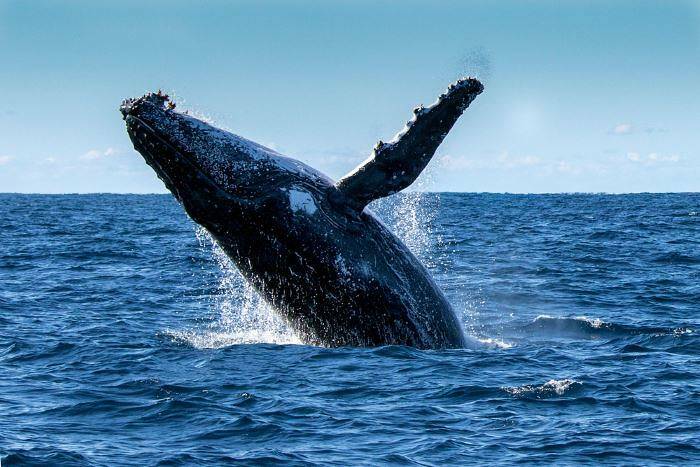 The waters around Cape Verde are the breeding grounds for Humpback whales, and if you time your visit to coincide with their seasonal migration you might be lucky enough to see them leaping out of the water, or singing to attract a mate. The whale watching season runs from March to May. Both these islands are the nesting sites for beautiful loggerhead turtles. 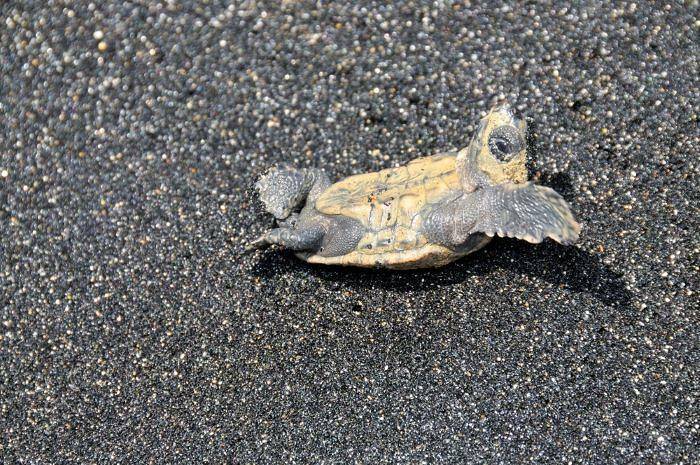 In fact Cape Verde is the third most important nesting area for loggerheads in the world! Both islands have projects to protect the turtles and you are welcome to join them to learn more and meet the turtles in a responsible manner. In Sal you can join guided walks to see turtles almost every night during nesting season. They’re organised by turtlesos and they suggest a donation of €20 to help with their conservation work. On Boa Vista make sure your tour company works with the Turtle Foundation who patrol the beaches there. How about a float in an extinct volcano crater? This unique experience can only be compared to taking a dip in the Dead Sea. The high salt content of the lake makes you extra buoyant – and the salt minerals in the water are said to be great for your health. 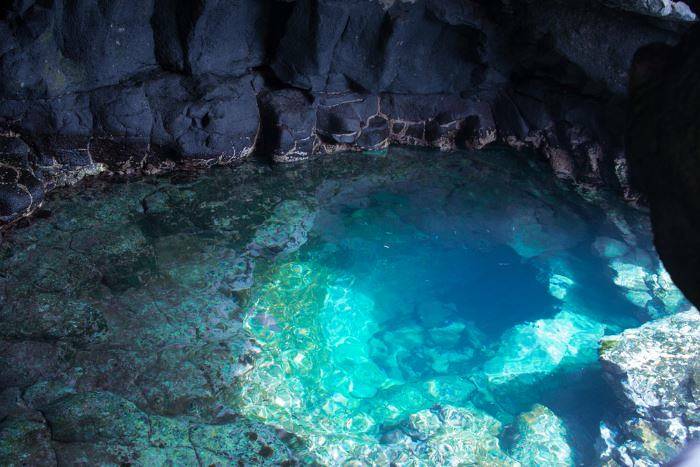 This natural cave pool in Sal has become known as the Blue Eye, and if you’re lucky enough to be there when the light hits it right you’ll soon see why. When the sea is calm you can climb down and take a dip in the brilliant blue waters. When it’s not so calm you’ll get a great view of the waves crashing on the nearby cliffs instead. This little-known oasis provides a lush contrast to the lunar landscapes of Sal. The gardens bring together all the plants of the different Cape Verde islands. You’re welcome to stroll through the gardens for a small fee and meet the various animals who live there including a friendly donkey, goats, rabbit and peacocks. The bright-yellow boat Neptunus offers a glimpse under the waters off the coast of Sal. The tour visits two shipwrecks and Christ of the Seas – an underwater statue of Jesus. Be warned that the seas off Cape Verde can be choppy! The island’s capital is tiny, with just 6000 residents. It’s still worth a stroll around, offering a mix of beaches, souvenier shops and low-key restaurants. There’s a great atmosphere in the main square in the evenings when live music draws in locals and tourists alike. But on a hot day the town’s big draw is its beach clubs that line the sheltered beach, Praia do Estoril. These offer varying levels of shabby chic, from Boa Vista Social Club which channels Ibiza-esque vibes with its chilled tunes and beds on the sand, all the way down to Morabeza, a popular kitesurfing hangout decorated with sun-bleached driftwood and netting. 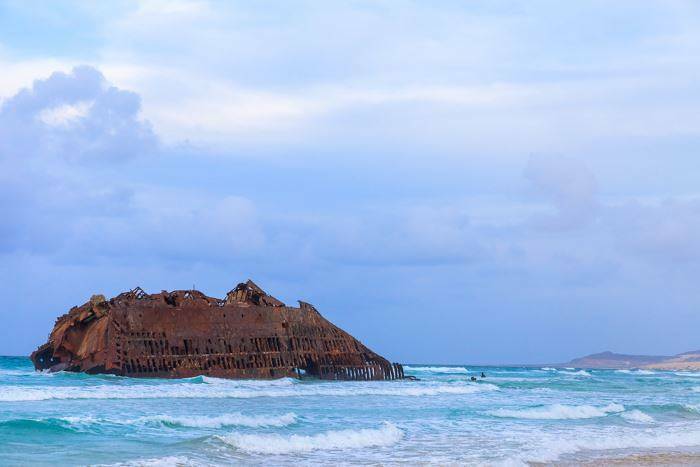 One of the most popular sightseeing excursions on Boa Vista is to see the dramatic rusting wreck of the ship ms Cabo Santa Maria, which ran aground in 1968. The journey there is undeniably bumpy as 4×4 taxis navigate sand paths and cobbled roads. But it’s also rather beautiful, passing through tunnels formed of spindly trees and desolate rocky landscapes. The reward at the end is the rusting remains, its ribs now clearly visible. The waves are rough on this northern coast, so it’s impressive how the ship has stood up to such a battering. 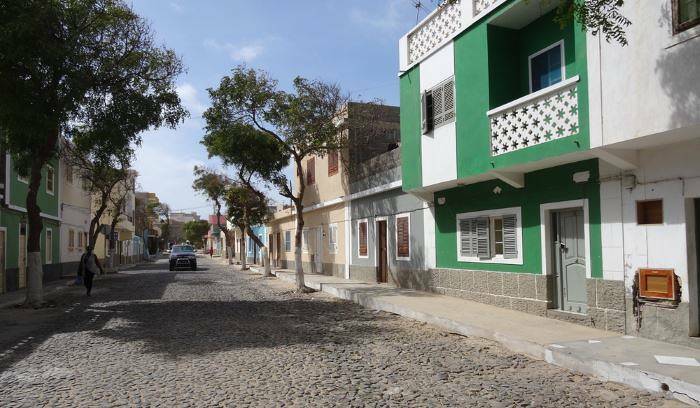 Day trips to the island of Fogo are common from both Sal and Boa Vista. 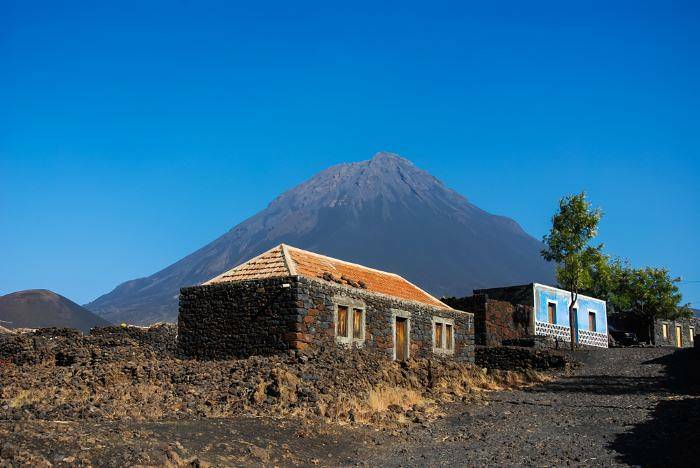 Fogo means fire in Portuguese, which is your first clue that this island contains the only still-active volcano on Cape Verde. That volcano, Pico de Fogo, dominates the landscape. You can climb the peak, but that takes six hours, so you might rather enjoy the black-sand beaches and the colourful houses in the town of Cova Figueira. 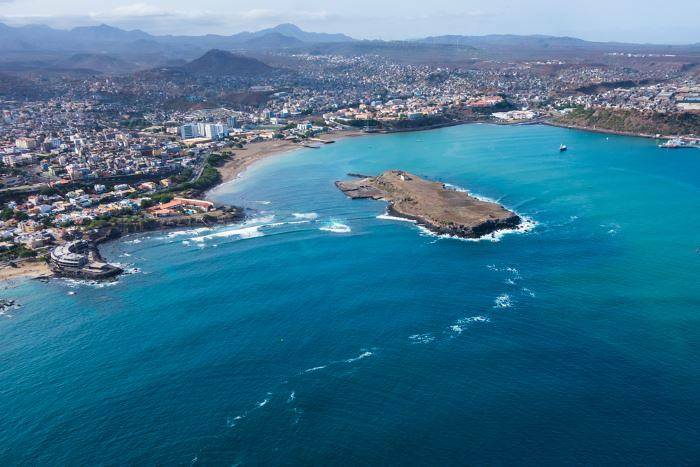 This is the largest island in the archipelago, and also home to Cape Verde’s capital, Praia. If you’re looking for the ‘real’ Cape Verde this is one place to find it. It also manages to mix in some of the elements from all the other islands, with beaches, volcanic landscapes and valleys all in evidence. 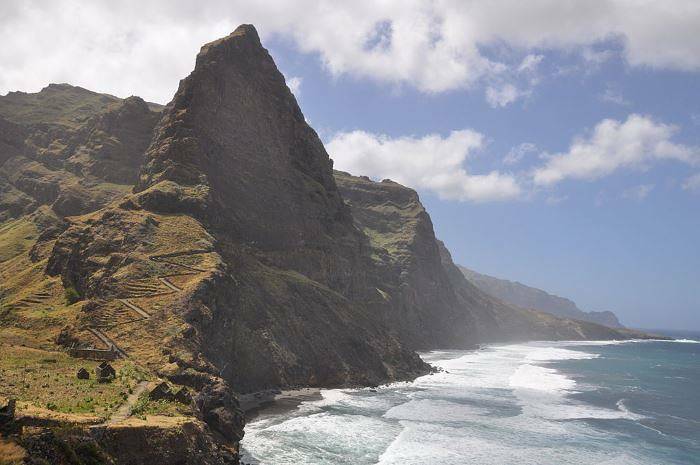 Notably different from others in the archipelago, Santo Antão draws in hikers with a surprisingly lush landscape, canyons, gorges and valleys. It’s up there for the best hiking in all of West Africa. 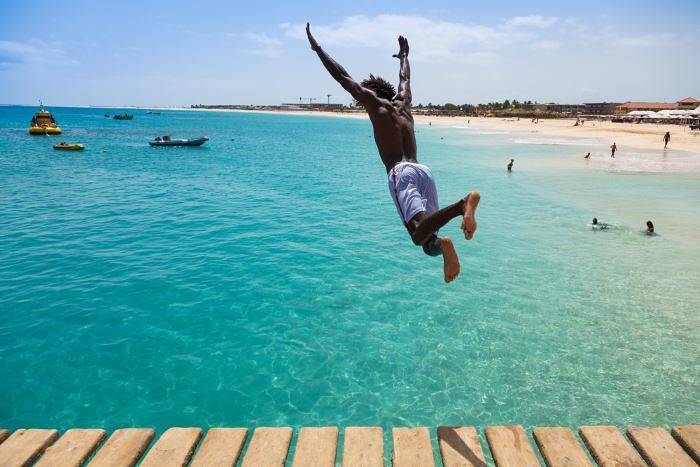 If you’re looking for the heart and soul of Cape Verde, you’ll find it on São Vicente. The capital city, Mindelo, is the cultural centre of the archipelago. This pretty, Mediterranean-style city gave birth to the music from the islands, morna (popularised by Cape Verdian singer, Cesária Évora) and coladeira. Although today you’re more likely to hear Brazilian pop music radiating from the bars, it remains a lively, music-filled city. Especially if you visit for February’s carnival, or the August music festival which takes place on a beach at full moon!